Durable, affordable, and versatile enough for any business need. Economical A-Frame, Perfect for Real Estate Signs. It folds closed so it easily fits into a trunk and the molded handle allows you to carry it from one place to another with ease. 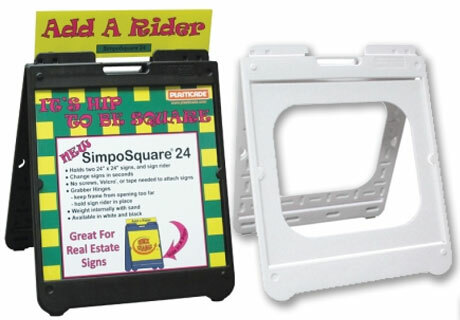 The Simpo Sign II combines the best features of other A-frame sign holders into one durable yet lightweight unit. 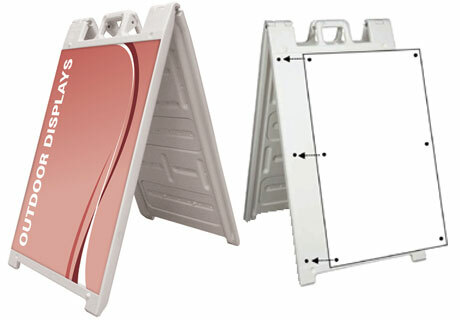 It securely holds two single-sided rigid signs by simply sliding them into place. 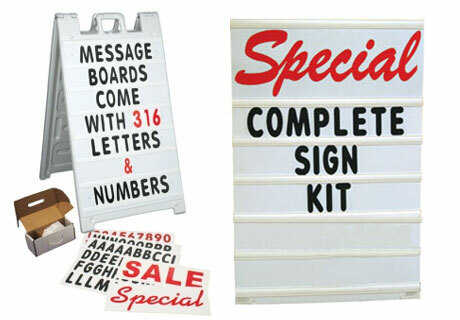 Marker Boards can be used indoors or outdoor for menus, specials or other presentations. 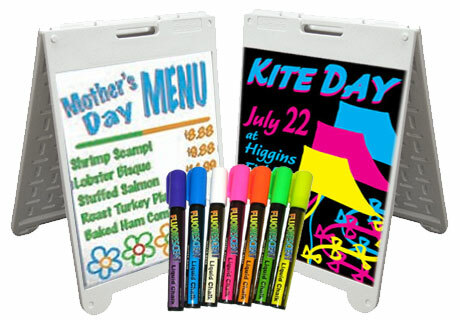 Kits include 2 marker boards in either white or black and one set of Eight (8) color set of florescent markers. To change a sign, or any part of it. Bullet or Chisel nib markers. Includes a set of Bullet or Chisel nib markers. Signicade A-Board features snap-off plugs that make it easy to fill with sand or water for ballast. Additional features include a molded-in handle for easy moving and hinges that lock into place for added stability. 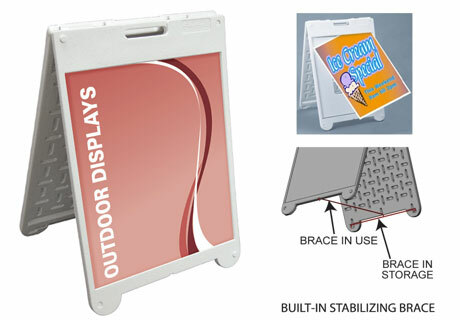 With patented Quick-Change feature, signs easily slide in and out and stay securely in place. No screws, Velcro, or tape needed to attach signs. 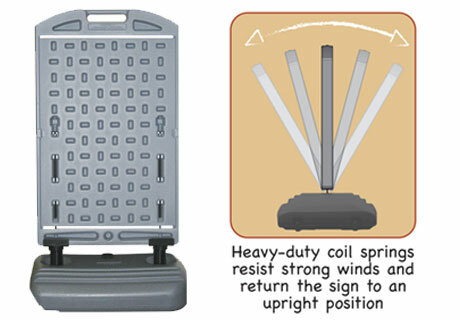 Wind Sign II resists head-on winds up to 60 mph.